Ministry of Culture - Opening of the II National Conference of Culture. Some rights reserved. On April 4, the Brazilian Supreme Court (STF) denied the habeas corpus petition filed by former President Luiz Inácio Lula da Silva, a constitutional remedy to prevent his arrest before his conviction becomes definitive. Lula was sentenced first, and later on second instance, to 12 years in prison on charges of corruption, mainly for supposedly accepting an apartment as a bribe in order to facilitate dubious contracts with Petrobras, Brazil's State oil company. The problem with Lula's conviction is the use of criminal proceedings as a political toolset with a long-standing authoritarian agenda. The official discourse is the redemption and moralization of politics, but its machinery disregards constitutional fundamental rights inverting the burden of proof and tainting the very principle of a fair trial. To justify our thesis, our argument will be based on the following points: that conclusive evidence has not been presented in the Sergio Moro's sentence that could indicate Lula's crime of corruption and money laundering; that Lula's case was sped through the courts in record time, and the rights provided by the procedural laws were not respected; and finally, that, as illustrated by the habeas corpus decision made by the Brazilian Supreme Court, a restrictive interpretation of the law was used to the detriment of Lula. The judge Sergio Moro has sentenced former president Lula for the crime of corruption and money laundering. In his ruling, the judge points out only a few indications that a property in the interior of the State of São Paulo (known as the Triplex of Guarujá) belonged to Lula. Moro's sentence is based on the following evidence: a rough draft of a proposal to buy the property signed by Lula's wife; testimonies of people working in the building claiming to have seen Lula visiting the property, and messages exchanged between the executives of the building contractor and an acquaintance of Lula, without clear substantive evidence. The sentence confirmed by the judges of the Federal Regional Court of the 4th Region (TRF-4) was a strategy for avoiding that Lula's potential crime was prescribed. Relying on Moro's sentence, we can see that such indications are not sufficient to prove that the property belonged to Lula, nor even to find a complete vestige that makes a link between the building contractor with Petrobras. Although Moro's sentence, in fact, is littered with partiality and lack of evidence, the second instance, represented by the judges of the Federal Regional Court of the 4th Region (TRF-4), confirmed his sentence and increased Lula's penalty. This was a strategy for avoiding that Lula's potential crime was prescribed. The case against Lula also was compromised by an unprecedented fast-tracking through the courts, by various vices and legal tricks. The indictment process against Lula took nine months to be completed (usually the speed of a process with a conviction of the defendant takes on average between 18 and 30 months). The outcome could not fail to be singular, with Moro's arrest decree coming a record 22 minutes after the Second Instance Court (TRF-4) communicate the rejection of Lula's appeal, and with the Federal Public Prosecutor's request in a hurry to clamp down on Lula's growing tide of public support, and to prevent him from carrying out a "manipulative movement of the masses," according to El País. Regarding the use of a restrictive interpretation, the judgment in the Brazilian Supreme Court (STF) of the Lula habeas corpus is emblematic, in this sense. 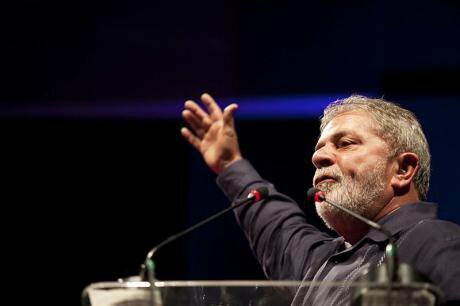 By denying the Lula's habeas corpus, the Court allowed for the immediate commencement of his sentence, even before exhausting all the appeal instances. From the exercise of a majoritarian role, the Brazilian Supreme Court (STF) thus slides into an undemocratic force. It has thus sealed off the presumption of innocence and possibility for the ample defense, with the alleged justification of purging impunity and corruption. From the exercise of a majoritarian role, the Brazilian Supreme Court (STF) thus slides into an undemocratic force. Finally, it is worth noting that recognizing this abuse is not to deny that investigations should be carried out where corruption is suspected, or to postulate that Lula is above the law; but to recognize that the way this process has been conducted undermines the rule of law and many of the guarantees and rights of citizens in an open and fair society, and points towards political persecution.